Mr A. CHILDS (father), Pleasant Point, South Canterbury. Height 5 feet 9.5 inches. Weight 149 lbs. Chest measurement 33-35.5 inches. Complexion fair. Eyes blue. Hair brown.Sight - both eyes 6/6. Hearing and colour vision both normal. Limbs and chest well formed. Full and perfect movement of all joints. Heart and lungs normal. No illnesses. Free from hernia, varicocele, varicose veins, haemorrhoids, inveterate or contagious skin disease. Vaccinated. Good bodily and mental health. No slight defects. No fits. 6 January 1917 sent to hospital, in France - sick. 13 January discharged to Camp. 29 January 1917 admitted to No 2 NZ Field Ambulance, and again on 3 February 1917. Rejoined Battalion on 10 February 1917. Charles Albert Childs was born on 31 May 1894 at Pleasant Point, and baptised in St Albans Anglican Church at Pleasant Point on 22 July 1894. He was the eldest son of Albert Edward Childs and Anna née Coleman. Throughout his brief life he seems to have used only the name Charles, even on enlistment. He started at Pleasant Point School in 1899 just after his 5th birthday, and returned there in 1904 after almost two years at Waitohi School. His mother died in 1902, when Charles was not eight years old. His father married Agnes Young the following year. Albert was an old resident of Pleasant Point and lived there until his death in 1925. Charles Childs enlisted with the Infantry on 3 May 1916. His was one of thirteen enrolments in March 1916, when the Ashburton district saw a marked improvement in recruiting. The local authorities had quite a “field day”, being kept busy enrolling men. The publicity given to the urgent demand for men, at the launch of the recruiting scheme, seemed to have the effect of “impressing their responsibilities upon the minds of young men”. At the time Charles was a labourer for Mr J. McCormick at Seafield near Ashburton. Come May 1916 and Charles was one who answered the roll call at the Drill Shed in Ashburton. A large gathering, including many parents and friends, had formed to entertain the recruits who were leaving for camp to join the Reinforcements. Mr Nosworthy, MP, felt that those men who were leaving would do their share to uphold the honour of their country, and he hoped that he would have the pleasure of seeing every one of them returning to New Zealand. The Rev. Wright said “The hearts of New Zealanders were filled with pride at the fact that New Zealanders were not found wanting to go forth to fight at the call of their country. “ He then wished the men good-bye, and hoped they would come back heroes. After they had partaken of a bountiful high tea, Mr Nosworthy thanked the recruits for offering their services to their country. The men then marched to the railway station, headed by the Citizens’ Defence Corps and Salvation Army bands. There they were cheered on both the arrival and the departure of the train. Just prior to this send-off, C. Childs, a member of South Canterbury’s quota for the 16th Reinforcements, left Timaru by the express for Trentham, after being entertained in the Stafford Tea Rooms by the Timaru Ladies Patriotic committee. After falling in and being addressed at the Drill Shed, the men proceeded to the station, led by the 2nd South Canterbury Regimental Band. Charles nominated his father, Mr A. Childs, of Pleasant Point, as his next-of-kin. He was single, of Church of England adherence, in good physical and mental health, and belonged to the 2nd South Canterbury Regiment. Embarking as a rifleman with the New Zealand Rifle Brigade on the “Mokoia” on 21 August 1916, he was headed for England. From Sling he proceeded overseas in November 1916. In January 1917 he had a few brief admissions to the Field Ambulance with sickness and an injury to his index finger. For three weeks in March he was attached to the Cable Burying Party. Just two months later he was the one to be buried. On 19 May 1917 at Messines, Belgium, and 12 days short of his 23rd birthday, Rifleman Charles Childs was killed in action. His father received a cable to this effect in early June. Charles was well known in the Temuka district where he was “a great favourite”. He is buried in Kandahar Farm Cemetery in Belgium (just over two miles from where he was killed in the field), along with 32 other men who served with the New Zealand Expeditionary Force. His name is inscribed on the Timaru Memorial Wall, the Pleasant Point War Memorial and the Pleasant Point School Memorial. His medals – British War Medal and Victory Medal - were duly received by his father, as were the plaque and scroll. His father claimed for pay due to his deceased soldier son and declared that he did not intend seeking Letters of Administration. There are very few mentions of this family in the local newspapers, and no headstones in the Pleasant Point cemetery to remember them. At a soldiers’ welcome home social held in the Pleasant Point Oddfellows’ Hall on 23 January 1918, sympathy was expressed for Mr Childs and his family on the loss of his two sons. 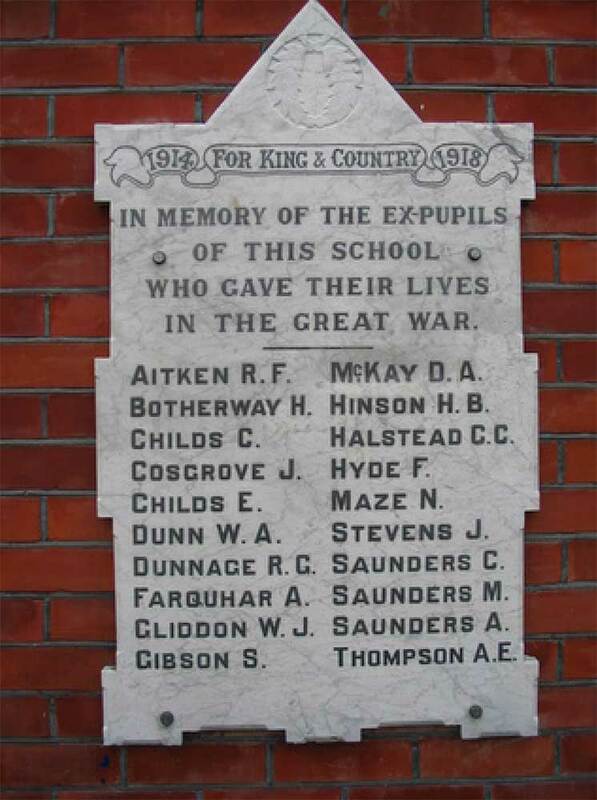 And at the February 1918 meeting of the Pleasant Point District High School committee, a vote of sympathy was passed with the relatives of Mr Childs on the deaths of his sons at the front. A photo of Charles Childs, 21791, is printed in “Onward: Portraits of the New Zealand Expeditionary Force” Volume 3.